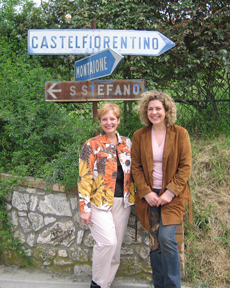 After 30 years of traveling through, living in and loving Italy, I enjoy sharing all things Italian. My travels started as pleasure and evolved to a passion and niche business. I’ve supported hundreds of travelers over the past 10 years designing custom itineraries with the goal of creating memories of a lifetime. If you’ve traveled to Italy you understand the allure of it’s culture and people and if you’ve not stepped foot in Italy but love Italian food, wine and history, Ive created this blog for you. I hope you will come often and feel free to make suggestions or share your Italian experiences with us.